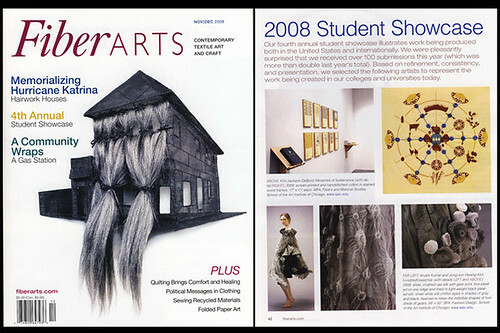 The Ministries of Sustenance, my MFA thesis project, is featured in the 2008 Nov/Dec issue of Fiber Arts magazine. The article is a showcase of student fiber work. You can see the other featured student work at the fiber arts website. Tagged art, fiber, fiber arts magazine showcase winner, kim jackson debord, Print, stitch, student showcase. Bookmark the permalink.